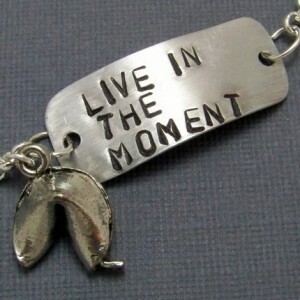 Living in the moment…accepting what is, accepting who you are…how hard can it be? Being aware of each moment may sound simple but I assure you it is challenging, the distractions are far too many…Even if you try to concentrate on something, you might find it difficult to be in the present for too long. Our mind tends to wander, it drifts easily to thoughts about the past or the future. Our thoughts can be quite distressing and overwhelming especially in times of crisis and emotional turmoil, they can easily cloud our awareness of the present. If you start paying attention to where your mind wanders throughout the day, you will probably realize that you spend extensive amounts of time and energy on worrying, making plans for the future, anticipating what you want or don’t want to happen, daydreaming, clinging to memories and all sorts of things that deprive you from being in the present. The inner busyness of our mind is constant…Something attracts the attention of the mind, we follow it and get distracted, and as a consequence we may be only partially aware of what is actually happening in the present. We are literally lost in our thoughts and unaware of other sense impressions. Close your eyes, sit with your back relatively straight but not stiff, and become aware of your breathing. Just observe your breathing, don’t try to control or change it. Let it happen, be aware of the flow of your breath. Try this experiment for 3 minutes. If at some point you think it is boring or stupid to sit and watch yourself breathing, note to yourself that this is just a thought/judgment your mind is creating. Gently bring back your attention to your breathing. After the completion of the experiment, reflect on how you felt during it and how much or how little your mind wandered away from your breathing. Good luck!